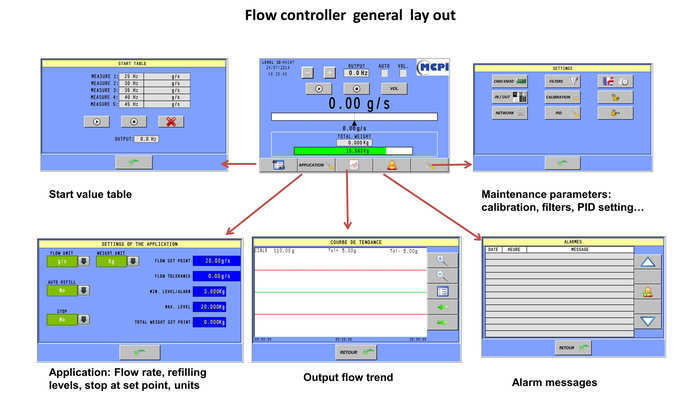 The flow controller controls a continuous discharge of material from a feeder at a defined flow rate. 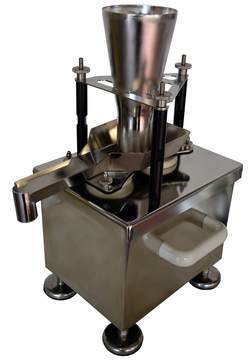 The process is start by a simple entry of the desired flow rate (kg/min). The process can be start by a pre defined values from the table. 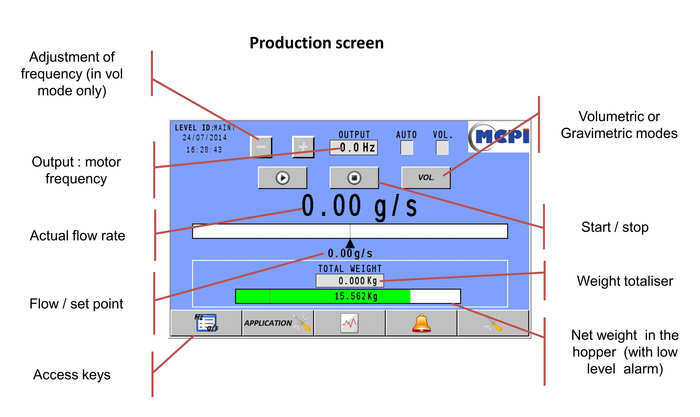 During operation the display informs the operator about the current flow rate, the control output of the feeder (frequency of the motor in Hz), the net weight of the hopper, the total quantity of material discharge. The PID flow controllers are used to control loss-in-weight feeders.